Tonight AMERICAN IDOL continues on FOX with a new episode. Tonight’s show is another two-hour episode as the auditions continue in Salt Lake City Utah. Did you watch last night’s week’s episodes? We did and we we recapped Atlanta here, and the Detroit auditions here. On last week’s shows the auditions continued in Atlanta and Detroit in hopes of finding the next American Idol. Detroit lived up to its musical reputation and 40 hopeful idols were were given golden tickets to Hollywood. Thenauditions went way down south to Altanta, GA and the talent was as hot as a sizzlin’ summer. On tonight’s episode the auditions continued in Salt Lake City, Utah and rumor has it the Salt Lake City Idol hopefuls had lots of talent. The auditions were held at the EnergySolutions Arena, formerly known as the Delta Center. Harry Connick Jr. said he was surprised by the abundance of talent they discovered. Ryan Seacrest said the next Idol could be found in Salt Lake City. Tonight’s show is going to be an exciting one, which I’m not going to miss and neither should you. 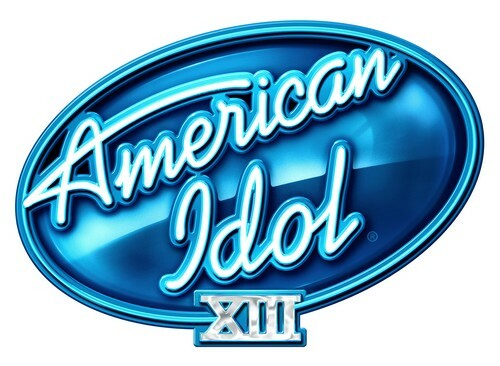 So be sure to tune in for our live coverage of FOX’s American Idol XIII Salt Lake City Auditions – tonight at 8PM EST! Celeb Dirty Laundry is your go to place for all the up-to-date American Idol News! On tonight’s episode of American Idol, the judges Jennifer Lopez, Keith Urban, and Harry Connick Jr, head to Salt Lake City, Utah for the next round of auditions. Salt Lake City auditions are kicked off by Austin Wolf, a 16 year old student from Park City, singing “Radioactive.” Harry Connick Jr, thinks Austin sounds like Haley Williams. The judges all vote “yes,” Austin is getting a Golden Ticket to Hollywood. The next Utah native to try out is Klyee Adams, and 18 year old lumberjack. Keith Urban thinks that “as soon as she started singing she had him,” Jennifer and Harry agree. They decide to give Kylee a Golden Ticket to Hollywood. 19 year old Tessa Norman dazzles Harry Connick Jr. with her smile before she even starts singing. Jennifer thinks Tessa “is a star,” she is going to the next round of auditions in Hollywood. 20 year old Alex Preston from New Hampshire quit college to pursue a music career. He has decided to sing a song he has written himself for the American Idol judges. Harry Connick Jr, is impressed with his “advanced harmonies.” Jennifer “loves Alex and everything about him.” Alex Preston is on his way to Hollywood for the next round of American Idol tryouts. 25 year old Samantha Calmes is a “musical educator” and after she sang her bizarre original song, the judges ask her to sing something they are familiar with. So, Samantha decides to sing the theme song from The Jeffersons. The judges like her originality, so they give her a Golden Ticket to Hollywood. Laurel Wright, an 18 year old from Tennessee, has traveled all the way to Salt Lake City to sing a song she wrote herself for the American Idol judges. Harry, Jennifer, and Keith, all vote “yes” and give Laurel a Golden Ticket to Hollywood. 20 year old D.J. Bradley has decided to sing a song by Adele called “Hometown” for the American Idol Judges. Jennifer thinks D.J. is “quirky” but she enjoyed his voice and wants him to work on “coming out of his shell.” The judges think D.J is “interesting” enough to send him to the next round of tryouts in Hollywood. 25 year old Paisley Van Patten had a record deal when she was fifteen, but she threw it all away when she began drinking heavily. Now she is clean and sober, and wants another shot in the music business. She is singing “When The Lights Go Down” by Faith Hill for the American Idol judges. Keith, Jennifer, and Harry all “loved” her voice. Paisley is going to Hollywood for the next round of American Idol tryouts. 22 year old CJ Harris has traveled to Salt Lake City from Alabama to audition for American Idol. Keith Urban think his song was “beautiful,” Jennifer thinks that he does “some things consistently wrong, but they can fix it.” Harry Connick JR also liked CJ’s singing. CJ Harris is getting a Golden Ticket to Hollywood. Tequila Wilson travelled from North Carolina to Salt Lake City to sing Adele’s song “Someone Like You” by Adele for the American Idol Judges. Keith likes “Tequila’s spirit,” and the judges are unanimous, Tequila Wilson is going to Hollywood. 20 year Chase Thornton is male runway model, but today he is auditioning for American Idol, and singing a Bruno Mars song. Keith interrupts him and tells him he “needs lessons,” and he doesn’t even know what “key he is singing in.” Chase Thornton isn’t going to Hollywood any time soon. 17 year old Emily Rotter, is a Utah native auditioning for the American Idol judges. Keith Urban thinks her “voice is great.” And, Jennifer thinks Emily is “the real thing.” Emily Rotter is getting a Golden Ticket to Hollywood. 22 year old Dexter Roberts is a dog trainer from Alabama, he travelled all the way to Salt Lake City to audition for American Idol. Jennifer, Harry, and Keith are impressed with Dexter’s rendition of “I Like To Drive.” They decide to send him to Hollywood to next round of American Idol tryouts. 15 year old Briston Maroney has travelled from Tennessee to audition before the American Idol judges in Salt Lake City. Jennifer thinks Briston has “such a unique voice.” Harry is nervous that Briston is going to lose his voice singing like that. The judges decide to send him to Hollywood for the next round of American Idol auditions. 16 year old Carson Henline was voted “most likely to be on American Idol” in his high-school yearbook. Unfortunately, Jennifer, Harry, and Keith don’t think Carson is ready. He says he will come back again and audition next year though. 25 year old Kimberly Tosti, trained as an opera singer, and now she is auditioning for American Idol with an interesting version of “Barracuda.” Jennifer, Harry, and Keith all vote “no.” Kimberly is not going to Hollywood. Sugar Hill Gang’s “Wonder Mike” has brought his daughter, 24 year old Carmen Dilgina, to Salt Lake City to audition for American Idol. Harry thinks that she is talented, “but her vocals aren’t strong enough to get her to the end.” Keith, Jennifer, and Harry all vote “yes.” Carmen is going to Hollywood. 16 year old Kassandra Castaneda has decided to sing Adele’s “Chasing Pavements” for the American Idol judges. Harry doesn’t think Kassandra “is ready for American Idol.” Jennifer disagrees though, she really likes Kassandra’s voice. The American Idol judges to give Kassandra another shot, and send her to Hollywood. 22 year old Casey Thrasher travelled from Alabama to sing “Believe” to the American Idol Judges. Jennifer “loved it and felt like she was watching a performance.” Harry Connick Jr, thinks his “drive is really strong.” Keith, Harry, and Jennifer all vote “yes” and Casey Thrasher is getting a Golden Ticker to Hollywood. Overall the American Idol judges gave out 30 Golden Tickets in Salt Lake City, Utah. There are a grand total of 193 American Idol contestants on their way to the Hollywood auditions. Who Was Eliminated On American Idol Tonight 4/4/13?